AQHA added ranch pleasure as an all age - open class in January of this year. The purpose of a ranch pleasure horse is to show the versatility, attitude, and movement of a working horse. The horse's performance should simulate a horse riding outside the confines of an arena and that of a true working ranch horse. The class shows the horse's ability to work at a forward, working speed while under the control of a rider. Light contact should be rewarded and a horse does not have to be shown on a full drape of reins. The overall manners and responsiveness of a horse while performing the maneuver requirements, and the horse's quality of movement are the primary considerations. No horses less than 3 years of age may compete in the class. Each horse works individually, performing both required and optional maneuvers, and is scored on the basis of 0 to 100, with 70 denoting an average performance. The required maneuvers include the walk, jog, and lope both directions: and the extended jog and extended lope lope in at least one direction, as well as stops, turn to change directions, and backing. Three optional maneuvers may include a side pass, turns of 360 or more, change of lead, walk, jog, or lope over a poles, or a combination of maneuvers that would be reasonable for a ranch horse to perform. The overall cadence and performance of the gaits have emphasis on forward movement, free-flowing, and ground covering for all gaits. Transitions are looked at for smoothness and responsiveness. There is no time limit for competators. One of the suggested four patterns from AQHA may be used in a class, however a judge may utilize a different pattern as long as all required maneuvers are included plus three or more optional maneuvers. Failure to perform a required maneuver will result in a horse placing below all other horses that perform all maneuvers. 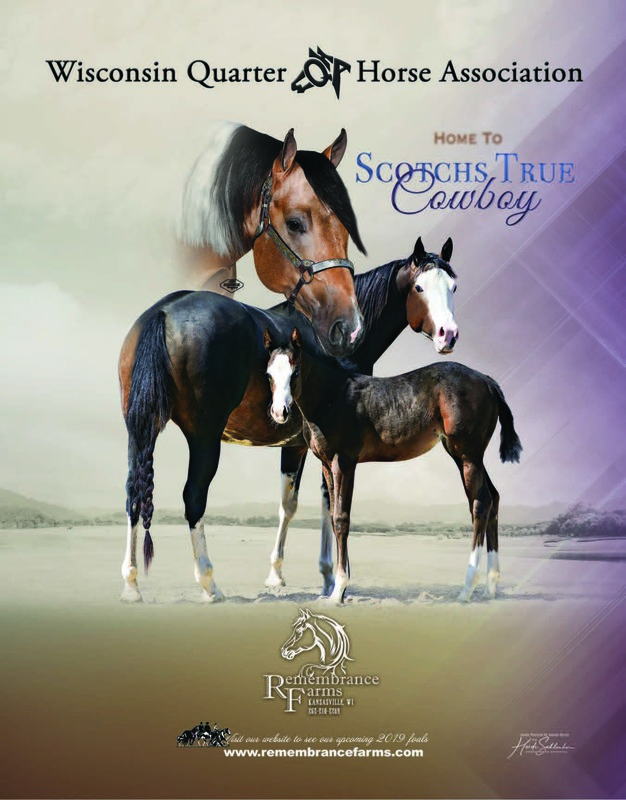 Ranch pleasure class entries, are eligible for AQHA Incentive Fund. Hoof polish, braided or banded manes, or tail extensions are not allowed for horses in the class. Trimming inside ears is discouraged, trimming of the bridle path is allowed, also trimming of fetlocks or excessive facial hair is allowed. Equipment with silver should not count over a good working outfit. Silver on bridles and saddles is discouraged. The classes offered at the State Show took place on Friday and Sunday. The Sunday class being the last class of the day provided 'standing room only' for spectators as the exhibitor party was in full swing at the time and the stands were packed full. The crowd was very enthusiastic with their whooping, whistling and shouting which added to a fun ending for a great day. Competitors in the class included Ross Walker riding 'A Peppy Dual Spook', Jessica Bradley riding 'Iwannalasttilmidnite', Nick Gauthier riding 'Steal Version', Linda Berg riding 'Mighty Well Dun' and Lance Treptow riding 'Banderous'. With the class being offered under all five judges at the show, both Linda Berg with 'Mighty Well Dun' and Lance Treptow with 'Banderous' are now qaualified for the AQHA World Show. Congratulations Linda and Lance!